Time to bond with other physics departments! Boston University’s SPS chapter is proud to host this Zone I meeting. The keynote lectures will be delivered by Professors Ed Kearns (“Underground physics”) and Rick Averitt (“Electrodynamics of Metamaterials: the role of anisotropy”). The registration deadline is February 20th, 2009. We do have a deal with the Hotel Buckminster (http://www.bostonhotelbuckminster.com, 800 727-2825) for attendees of this meeting. 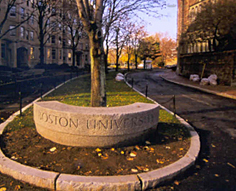 Tell them you are here for the SPS conference hosted by BU and you will receive a discount. The discounted price is available only until February 20th. If money is an issue (or if you would simply prefer) you are also welcome to stay on one of our couches, though there will be limited sleeping space. Please email Claire Thomas (cthomas2416@gmail.com) by February 20th if you would like to stay with one of us.